Add an artistic flair to your interior design at Bob Wagner’s Flooring America. At our flooring showroom, you can redefine your rooms with our selection of window treatments in West Chester, PA. With our diverse product selection and personalized approach to service, you have everything you need to create beautiful and distinct interiors. Request a design consultation and take your project further. Redecorate with one of the most well-known names in interior design. Hunter Douglas® has earned a reputation for beautiful window coverings that also improve energy efficiency and indoor comfort. Now, you can highlight the appeal and establish the ambiance of any room with Hunter Douglas® drapes, curtains, valances, and more. 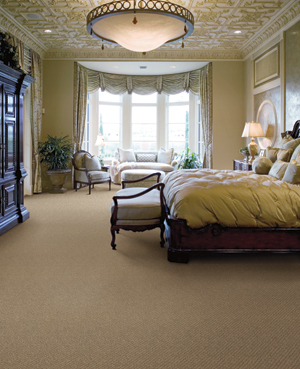 We have a wide selection of products from this quality brand, available in different materials, colors, and styles. With so many different options available, your redecorating options are virtually limitless. If you aren’t sure where to start, let us help! Our showroom staff stays up-to-date on the latest developments in remodeling and interior design. Let us know what your goals are, and we will steer you in the right direction. Take your interior design to the next level and complement your windows with the right coverings. More than a decorative accent, Hunter Douglas® window treatments seamlessly unify form and function to add style to your daily life. We carry a variety of products that complement your windows, the flooring, and your overall design motif. Does your kitchen come with a view? Experiment with our kitchen window treatments. Bright colors establish a lively atmosphere. Our selection of valances and curtains create an open and airy aesthetic. Conversely, some of your rooms are meant more for relaxation and privacy. Add light control to any room with our selection of drapes. Our drapes include heavy-duty linings that block sunlight--a great solution when you want to control indoor comfort without adjusting your thermostat. At our showroom, we provide the resources you need to plan a successful interior design project. Get the right results and let us finish the project for you! Our showroom can facilitate window treatment installation. We have a trained and experienced team of professional installers. With our team, your project is in good hands. We work diligently to deliver quality results that last. Best of all, we are highly adaptive. We can install both window treatments and flooring according to your needs. Thanks to our extensive catalog, personalized approach to service, and professional installation services, we make interior remodeling a simple and fun experience. Contact us to request a consultation for Hunter Douglas® window treatments. Our showroom proudly serves homeowners throughout West Chester, PA, including Malvern, Frazer, Newtown Square, Glen Mills, and the surrounding areas.